Rachio is known for its smart watering solutions for any backyard or garden. The company’s smart sprinkler controllers can work with wireless weather stations to further elevate their capabilities. This is how you can create a custom ecosystem that ensures the best care for your plants and lawns. However, when choosing the best weather station for a Rachio smart sprinkler controller, Rachio compatibility is only one of a number of concerns. 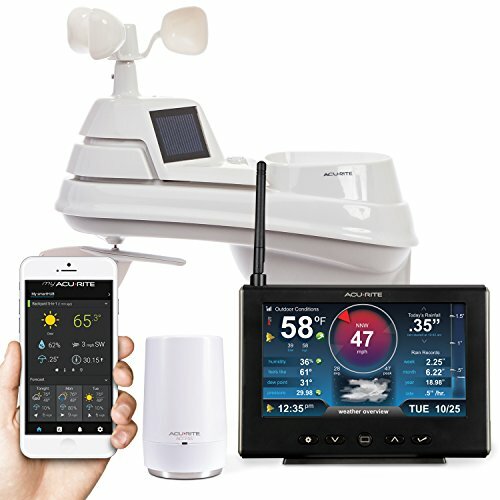 I’ve created a list of some of the best Rachio-compatible weather stations. Let’s start with a few quick words about Rachio-compatible weather stations and the key features to look for. What Is a Weather Station for Rachio Smart Sprinkler Controller? In general, all you need is a Wi-Fi capable weather station to connect to a Rachio smart sprinkler controller. Once both devices are online and connected, it is quite simple to program the Rachio to pull weather information from the weather station for a more optimal sprinkling schedule. All three generations of Rachio smart sprinkler controller work with internet-enabled weather stations. What to Consider When Buying a Weather Station for Rachio Smart Sprinkler Controller? The following are some of the important features to consider in order to make an informed purchase decision. As mentioned, internet connectivity is a requirement for Rachio compatibility. Luckily, you do not need to look far and wide before you can find the proper weather station that can get online. In most cases, these weather stations are also quite affordable. In fact, there’s probably a station for every budget. Rachio is proud of the fact that its devices work really well with a lot of smart home devices. While Amazon Alexa compatibility is not a crucial feature to have, it is always nice to have voice-activated controls for a Rachio sprinkler controller and/or a home weather station. The general rule of thumb is to get the latest and greatest Rachio controller. Currently, it is the Rachio 3 which is only a fraction more expensive than the previous. This generation improves on the Rachio 2 and the company has conveniently moved all of the controls to the front. The Rachio 3 also comes with more fine-tuning options for the irrigation system to meet the demands of professional gardeners. 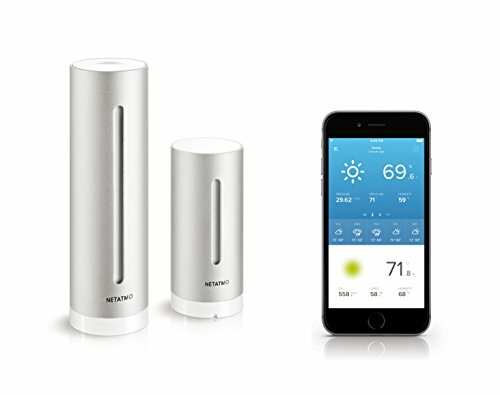 The Ambient Weather WS-2902A is a professional-grade Wi-Fi enabled weather station. In terms of connectivity, this weather station allows users to wirelessly transmit data to Weather Underground – the biggest weather station network in the world. 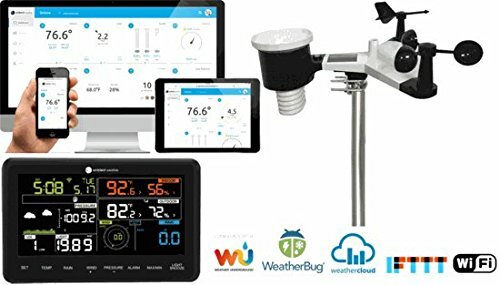 The WS-2902A weather station comes with a dedicated app for quick and easy monitoring of all the weather parameters on a computer or mobile device. The Ambient Weather measures precise UV and solar radiation levels, humidity, temperature, rainfall, and wind direction and speed. Using the measurements, it can also calculate dew point, heat index, and wind chill. The indoor console is able to provide accurate barometric pressure information as well. To top it all off, the unit comes with a large color-coordinated LCD display. Adding to the professional-grade features, the WS-2902A sports 16-second wind speed updates. The 330-ft. wireless range should be more than enough for a home-based Rachio smart sprinkler controller. As a forward-thinking French company, Netatmo makes cutting-edge home weather stations, all of which are compatible with Rachio smart sprinkler controllers. Don’t expect hefty prices either. Considering the advanced design and features, the Netatmo provides the best value for your money. What I like about this weather station is the fact that it can measure environmental conditions like air quality and indoor noise levels. The standard readings include humidity, outdoor and indoor temperatures, and barometric pressure, to name but a few. More demanding users can go for an extra indoor module and the optional wind gauge and rain gauge. The well-designed Netatmo app allows you to monitor all of the parameters on your smartphone. In addition, the Netatmo weather station features a weekly forecast which allows users to stay on top of and prepare for weather changes. Another plus is the Alexa compatibility. Once both the Rachio and Netatmo are connected and online, you are only a voice command away from activating the sprinkler system whenever the need arises. The AcuRite 01151M HD is probably the most well-rounded weather station that works with the Rachio smart sprinkler controller. This particular model is actually a remote weather monitoring bundle which includes an outdoor weather sensor, AcuRite access point, and full-color HD screen. This thing is Alexa-compatible but that’s just the start. Using the AcuRite access point, this weather station can connect up to 7 devices, including of course any of the Rachio sprinkler controllers. This weather station measures with accuracy all the key weather elements like wind direction and speed, temperature, humidity, barometric pressure, and rainfall. The AcuRite software can issue custom alerts and notifications in the event of severe weather. In addition, the 01151M HD runs on 5-minute weather change intervals for an entire month to ease the spotting and analyzing of weather patterns. The weather station also has a set of backup batteries that keep it running for an additional 12-hour period in case of a blackout. If you want to get the best weather station for Rachio smart sprinkler controller, Rachio-friendly features are what to look for. Luckily, Rachio-compatible weather stations are not hard to find. However, there is one unit that stands above the rest. The AcuRite 01151M HD​ has it all. It features Alexa compatibility, unparalleled connectivity, and most importantly accurate weather readings and useful forecast.